Palm Sunday Blessing of the Palms and procession March 20th. 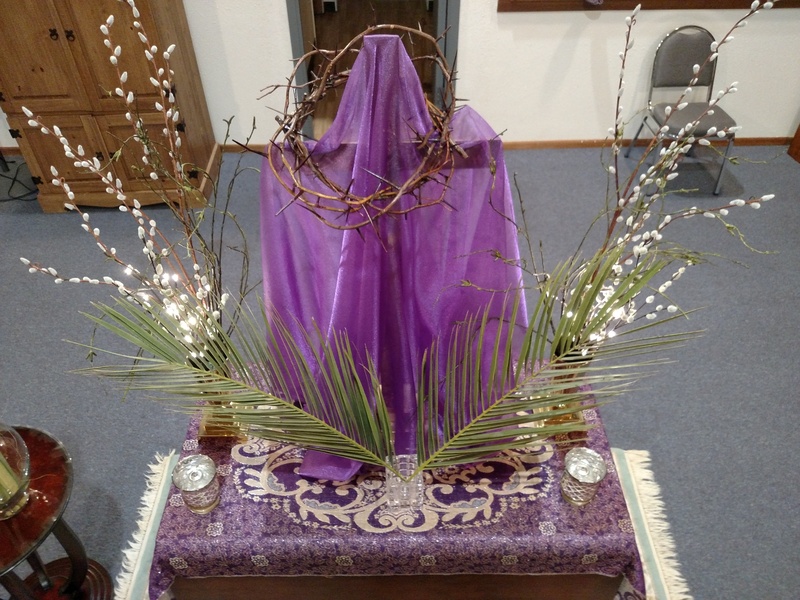 Palm procession and reading of the Passion. At the 8:00am and 10:30am services. Maundy Thursday March 24th 6:30pm – Agape meal, Communion & Stripping of the Altar. Virtual Vigil – March 24th at 9:00pm until Friday March 25th at Noon. Prayers at the altar of repose. The elements to be restored on the altar prior to the Noon stations of the cross service. Good Friday March 25th – Stations of the Cross – Noon & 7:00 pm. Easter Eve – March 26th – Celebration of New light – 7:00pm. Easter Day – March 27th – Holy Communion – 1 Service at 9:00 am. Join us for a hosted Fellowship after the service.